Blog Microsoft Azure How to Prepare for Microsoft Azure Exam AZ-300? How to Prepare for Microsoft Azure Exam AZ-300? As per the new role-based Azure certification path, Microsoft AZ-300 exam is the primary step towards becoming a Microsoft Certified Azure Solutions Architect. This exam requires experienced candidates who’re proficient in roles including Azure Development, Azure Administration and DevOps. And, they should have expert level skills in at least any one of these domains. However, by seeing these requirements, some of you may feel as it would be quite unfeasible for you to go for a Microsoft AZ-300 Architect Technologies exam preparation. This isn’t true. If you have prior experience in the above-discussed domains, you can effortlessly pass the exam with the right strategies and reliable AZ-300 Architect Technologies exam study materials. Here, our intention is none other than to equip you for this exam with the right AZ-300 exam preparation strategies and study materials. The eligibility criteria for AZ-300 exam is so evident that makes people to easily understand this by just reading the exam instructions. If you wish to take this exam, you must have Azure Solution Architect skills who can advise stakeholders and convert business requirements into scalable, reliable and secure solutions. The candidates for this exam should possess advanced level experience and proficiency in identity, visualization, networking, business continuity, budgeting, data management, governance, and disaster recovery skills. As we have already discussed, he/she should have the advanced level knowledge in Azure Development, Azure Administration and DevOps and requires expert level skills in at least any of these domains. So, before starting your AZ-300 exam preparation, make sure that you’re meeting the above criteria in any case. The Azure Exam AZ-300 is the part of Microsoft Certification on Azure Solutions Expert. You can expect questions in between 40 to 60 in this exam. There will be different types of question formats in this exam. The question types that can be asked in this exam includes active screen, review screen, the best answer, mark review, build list, short answer, case studies, repeated answer choices, drag & drop, multiple choice, and hot area. There is no negative marking for incorrect answers. You simply don’t get some of or all the possible points for a question if you give a wrong answer. Before leaving the exam hall, there is also a provision to review your answers again. If you are living in the United States, it’ll cost $165 to take this exam. However, this pricing is subject to change with your geographic location and many other factors. You are eligible for a reduced fee if you are a Microsoft certified trainer, Microsoft Partner Network program member, or Microsoft Imagine Academy program member. Also, students can also get this kind of fee reduction if they can submit their valid educational credentials. You’ll get your exam results indicating your pass/fail status just a few minutes after completing your exam. Anyhow, to get a complete scorecard, you may have to wait for a few days. This printed scorecard contains various elements such as your pass/fail status, overall exam score, performance in key skill areas, and the ways to interpret your results. You need a score of 700 to pass the exam. Any score greater than or equal to 700 will be marked as “pass”, otherwise “fail’. If a candidate does not get a passing score on this exam in the first time, he/she must wait at least 24 hours to retake the exam. If this happens for the second time, the candidate must wait for at least 14 days to retake the exam. By this way, there is a maximum of 5 appearances allowed for an exam in a year. If a candidate has passed an exam, he/she cannot take that exam again in normal conditions. There are no additional charges if you cancel or reschedule your exam at least 6 days prior to your appointment. If this cancellation/rescheduling happens within 5 business days, a nominal fee will be applied. If you couldn’t appear for the exam or you didn’t cancel/reschedule your exam at least 24 hours before your appointment, you’ll forfeit your full exam fee spent on the registration of the AZ-300 exam. Microsoft has launched a new role-based path for Microsoft Azure certifications. Let’s understand the new role-based Microsoft Azure Certifications. How to Register for AZ-300 Exam? The registration of AZ-300 starts from its corresponding page on Microsoft Learning portal. There, you’ll see a link to schedule the exam. On clicking this link, you’ll be redirected to the Microsoft’s exam registration page where you have to log in with your valid Microsoft email address. Once you login to this page, you have to fill up a form with your Name, address and job role. The next page is an account linking page for Microsoft employees to avail exam benefits. If you are not a Microsoft employee, you can skip this linking section and continue to the next page. Further exam registration will be done on the portal of Pearson VUE, Microsoft official exam partner. For AZ-300 exam, you’ll see different exam delivery options in this portal. You’ll have options such as local test center, certiport test center and home delivery options in this portal. Here, each of the options has its own merits and demerits. You can choose an option according to your convenience. If you are choosing a local test center, you may have to locate a suitable test center convenient to you. Whichever option you choose, you have to fix a date and time for exam delivery. Once you fix the date and time, you can move into the next stage. After fixing your exam appointment, there’s only one step left before taking the exam. Yes, it is the time when you will pay your exam fee. In the checkout page, you can make payment using mostly all the types of debit/credit cards you’re having. But, make sure to confirm the appointment before payment processing. There are a total of 5 topics or modules you need to know before starting your AZ-300 exam preparation. These modules are designed in a way to effectively analyze a candidate’s skills and experience required for the exam. Below, you can see the list of exam modules for the AZ-300 exam. Perhaps this would be the most important exam module which you have to focus during your AZ-300 exam preparation. The relative weight of the questions that can be asked from this section is 25-30%. Here you need to learn tasks such as analyzing resource utilization & consumption, creating & configuring storage accounts, creating & configuring a Virtual Machine (VM) for Linux & Windows, Automation of VM deployments, managing and implementing virtual networking, managing Azure Active Directory (AD), managing and implementing hybrid identities, and the creation of connectivity between virtual networks. Considering your AZ-300 exam preparation, there is a high relevance of this module on the exam. You can expect a relative weight of 20-25% questions from this section. 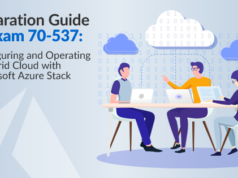 You have to know several tasks as part of this module including configuration of serverless computing, migration of servers to Azure, implementing application load balancing, integration of on-premise network with Azure virtual network, managing role-based access control (RBAC), and implementing multi-factor authentication. Even though it’s a smaller section with a relative weight of 5-10%, it covers two important skill areas required for an Azure architect. If you are a candidate who’s going through AZ-300 exam preparation, you need to know creation of web apps using PaaS (Platform as a Service) in this module. You should also know the design and development of apps that run in Azure containers. This module can contain questions ranging from 5-10% of the total questions that can be asked in the exam. Here, you need to know how to implement authentication using certificates, forms, tokens, Azure AD, etc. Also, you need to learn about implementing secure data solutions at rest and in transit and use Azure Confidential Compute & SSL/TLS communications, and many related tasks. In this module, your duties include configuration of message-based integration architecture of Azure services and the implementation of auto-scaling rules and patterns. These patterns include system metrics, schedule, and code that addresses singleton application instances etc. The relative weight of this section is 20-25% that makes it hard to skip in your AZ-300 exam preparation. Well, you’d have come to know with all the required modules for your AZ-300 exam preparation. Each of these modules has its own importance even when you think about the weight associated with the different modules. So, try to go through sub-areas of each module during your AZ-300 exam preparation, also keeping the weight factor in mind. As compared to Azure exams like AZ-100 or AZ-200, this exam requires more effort and effective utilization of time from your side. Anyway, passing this exam will never be an acid test for you if you can acquire some reputable AZ-300 Architect Technologies exam study materials or preparation guides. A reliable AZ-300 exam study guide can not only illustrate the exam modules/techniques but describe each and every factor to effectively take the exam. So, it’ll be a huge loss for you if you decide to avoid such a valid preparation guide for Microsoft AZ-300 exam. It is very important to choose the right material for exam preparation. So, here we have gathered the best resources that will help you to prepare and pass the AZ-300 exam. Let’s get ahead to find the best preparation material for the AZ-300 exam. This portal is the ideal starting point for your Microsoft AZ-300 Architect Technologies exam preparation journey. During your AZ-300 exam preparation, you may have to visit this portal many times as it contains most of the AZ-300 Architect Technologies exam study materials necessary to take your exam. Here, you’ll find basic exam requirements, links to schedule the exam, skills analyzed in the exam, study groups that discuss user doubts regarding the exam, policies, and updates regarding the exam, links to preparation options, and many more. As the links to register for the exam can be only accessed from this page, you can’t even think about skipping this page during any stage of your AZ-300 exam preparation. In addition to the facts discussed above, this portal can be considered as the most authoritative preparation guide for Microsoft AZ-300 exam since all the latest updates regarding exam dates, pricing changes, etc. will first appear on this portal. So make sure to confirm with the information in this portal whenever you came to know as there’s a change in this exam’s modules, pricing or exam schedule. If you need instructor-led training for your Microsoft AZ-300 Architect Technologies exam preparation, you can get it from Microsoft Learning portal for AZ-300. Total training options are divided into 6 modules to facilitate your AZ-300 exam preparation. The availability of this training varies from country to country. So, when you need an instructor-led training for any of these 6 courses, search for a Microsoft Learning partner in your area. You can choose between a gold or silver partner of Microsoft to avail the training. Also, there’s an option that helps you to choose between in-person training and online training. Sometimes, this training can offer you more results than any other preparation guide for Microsoft AZ-300 exam can provide you. Now, let’s quickly go through all the courses of this training program. Course AZ-300T01- Deploying and Configuring Infrastructure: The intention of this course to train IT professionals to manage their Azure resources consisting of configuration & deployment of virtual machines, storage accounts, virtual networks, etc. This training can help candidates to grant access to Azure Active Directory (AD) users, services and groups using RBAC (Role based access control). You’ll know the working of user and group accounts and many other storage accounts and services such as data replication concepts with this training. In addition to all these, you’ll learn about the usage of Azure blog storage and various monitoring capabilities of Azure and many other things. In your AZ-300 exam preparation, this course can help you to cover the most important module with around 25-30% weight. 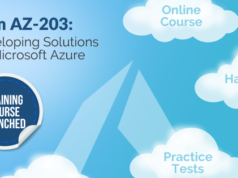 Course AZ-300T02- Implementing Workloads and Security: In this course, you know how to assess, discover, plan and implement the migration of infrastructure and on-premise resources to Azure. Also, you’ll know the ways to deploy serverless computing features like Service Bus, Event Grid, and Azure functions. As scoring good marks in the topics covered in this course has substantial effect on your overall exam scores, there should be a defined space for this course on your AZ-300 exam preparation. Course AZ-300T03- Understanding Cloud Architect Technology Solutions: This course is designed to equip the AZ-300 candidates to know how Azure operations can be done in parallel and asynchronously. By taking this course, candidates can know the resiliency of enterprise systems with respect to failures. You’ll also understand the value of telemetry and monitoring to gain insights into the system. Course AZ-300T04- Creating and Deploying Apps: Although this is relatively a small module, you may think as there won’t be any problems in neglecting this section on AZ-300 exam preparation you are taking. But, things aren’t like that; you can expect some of the key questions from this part. Course AZ-300T04 helps you to learn how to create Logic App solutions that integrate data, apps, services, etc. across organizations by task automation and workflows. Course AZ-300T05- Implementing Authentication and Secure Data: In this course, you will learn to implement different authentication methods in applications including certificates, tokens, AD connect, etc. This course also helps to implement secure data and manage crypto keys in Azure Key Vault. 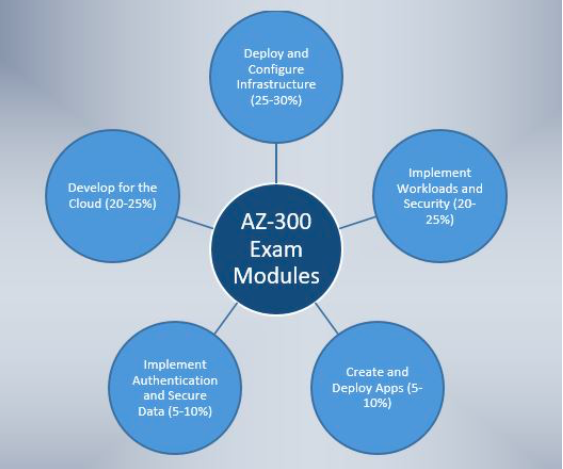 Course AZ-300T06- Developing for the Cloud: As this module is important for your AZ-300 exam preparation, make sure to take this course with maximum attention. After completing this course, you’ll know tasks such as configuring message based integration architecture, developing for asynchronous processing, Azure cognitive services solutions, and many others. Are you an Azure Administrator? Choose the right preparation path for Azure Exam: AZ-100 and Azure Exam: AZ-101 to become a Microsoft Certified Azure Administrator. 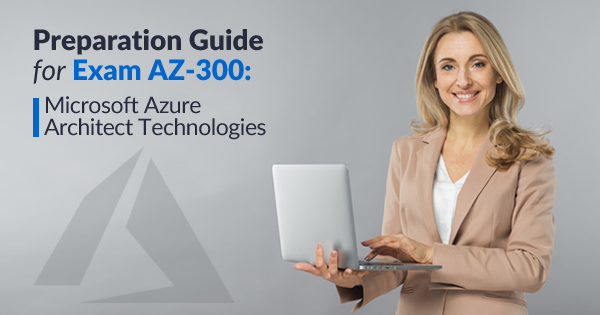 Since it’s a new exam, you may not find enough AZ-300 books or reference resources for your Azure certification exam preparation. Anyway once you came to see such a book on this domain, make sure to check the genuineness of it using customer feedbacks and seller information. This kind of checking is very important since many of the self-proclaimed books often persuade readers to follows brain dumps instead of conducting actual analysis of the exam pattern or procedure. Following braindumps on your AZ-300 exam preparation can even result in prohibition/ban from completing the exam or attempting further exams on Azure. So, make sure not to follow any of such malpractices during your AZ-300 exam preparation. There are many forums from Microsoft that can help users for azure certification exam preparation. Some of these forums are applicable to AZ-300 exam candidates as well. As commenting on forums won’t cost you even a single penny, it’s one of the easiest ways to prepare for your AZ-300 exam. In forums, you can ask your queries without any concern. You’ll get answers from many experienced people. Microsoft has hosted an official study group in its AZ-300 learning portal. When you enter AZ-300 page on Microsoft portal, you can see the study group at the bottom section of the page. You can filer between answered and unanswered queries on this page. Anyway, you may see some exam dumps even in this section. So, make sure to closely check each answer to avoid such answers. For most of its exams, Microsoft provides sample tests to get for the users for azure certification exam preparation. Sadly for AZ-300, such a test isn’t available yet. But don’t worry; the team at Whizlabs can provide you both free and full-length sample tests for your AZ-300 exam preparation. The questions in these tests are prepared in such a way to provide the best idea on each question type that can appear in the exam. You can practice well will these sample tests to ensure the best results in the exam. To assist you for your AZ-300 exam preparation, Microsoft provides a change document. This is a very relevant AZ-300 exam study guide where you can find out all the latest updates regarding your exam. Whether there’s a change in the exam dates or skills analyzed, you just need to refer to this document only. From here, you’ll know even the basic scope and the beneficiaries of this exam. Even the small changes in the exam modules will be marked in this page. Nowadays, Microsoft provides this kind of a change document for most of its role-based exams. Passing an AZ-300 exam doesn’t guarantee that you will become a Microsoft Certified Azure Solution Architect. But this exam has a huge role in the roadmap towards Solution Architect certification. The success in this exam can also make you more confident to take the 2nd level exam of this certification, AZ-301 exam. Moreover, an Azure Solution Architect role has become a prestigious career option in IT industry with attractive pay and additional benefits. To avail all these benefits, passing in AZ-300 exam is a must. Only with the effective AZ-300 exam preparation along with AZ-301, you can able to achieve this target. Follow the strategies and preparation materials suggested by this AZ-300 study guide, boost your confidence with the AZ-300 practice tests, and you’ll reach this goal without many hurdles. Be prepared and get ready to be certified. I am deciding to take this exam but this is expensive.